Santa Barbara is a beautiful place, and there’s no better way to really experience its unique beaches, islands, and mountains then spending the night out under the stars. Whether you crave a remote backcountry experience or simply want to camp next to the beach and listen to the crashing waves as you fall asleep, this place offers it all. Surfing, hiking, wildlife watching, and fishing are just some of the popular activities for campers in this area. You have lots of options when it comes to choosing the right camping spot, but here are eight of the best. Just 17 miles west of Santa Barbara, you’ll find El Capitán State Beach, which is known for its sandy shoreline, rocky tidepools, and the sycamore and oaks that provide a nice change of pace from the usual Southern California palm trees. Take the staircase down to the beach from the bluffs and you’ll find great fishing, swimming, and surfing opportunities. This spot is also extremely accessible, even offering beach wheelchairs to use at no cost. You can borrow one from the lifeguard station. It’s car and RV camping here, although it does not offer a dump station for your rig. Itching to get out onto the trails? The Santa Cruz Trail, about 23 miles from Santa Barbara, is one of the area’s best. It runs 22 miles through the Los Padres National Forest, gaining about 3,000 feet in elevation—so expect some climbing. You can do it in two days, but it’s a strenuous trip, so you may want to budget three. Be sure to sign the backcountry register located about .7 mile from the trailhead. Campfire permits are required, but you otherwise don’t need a permit to hike and camp. Spring is one of the best times to go, as you’ll find wildflowers like mariposa, california poppies, and lupin in bloom. If you’re not up for the full 22-mile hike, you can instead use the Upper Oso Campground as your base camp and do plenty of day hiking in the region. This family-friendly, car campsite has great access to hiking trails in the Los Padres National Forest and even offers full equestrian sites. You’ll find plenty of streams to explore, an off-road vehicle route, and fishing and swimming less than two miles away at the White Rock Day-Use Area. This is a smaller campground, but each of the dozen sites are equipped with a picnic table, campfire ring, and pedestal grill. 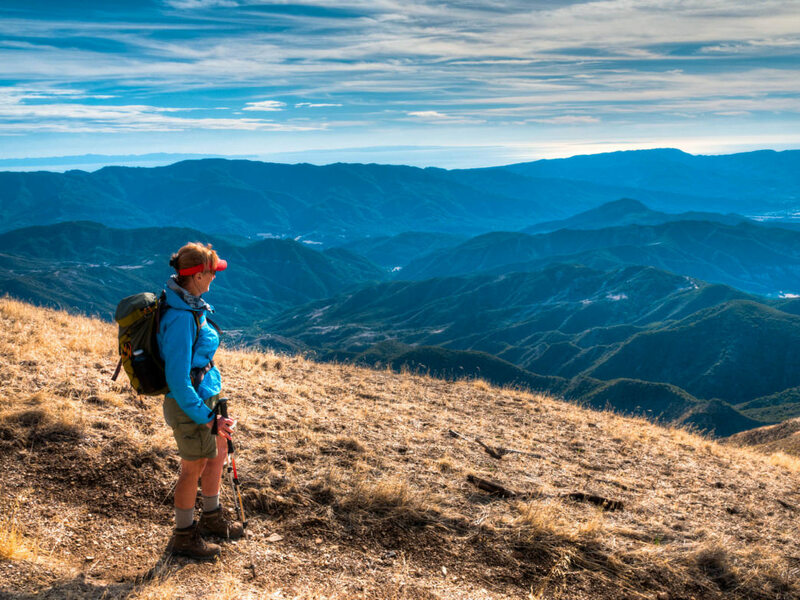 It’s a great way to see the mountains surrounding Santa Barbara without committing to a long trek in the backcountry. About 25 miles from Santa Barbara, Refugio State Beach is another car-camping beach that’s prime for coastal exploration. Three miles from El Capitán State Beach, it offers many of the same perks, like lifeguards, but it’s just off the beaten path, providing a bit more peace and quiet. If you’re interested in paddling, beginning and intermediate kayak tours are offered by the State Park Lifeguards from Memorial Day through August. These tours feature scenic views of the Pacific coastline, and chances are that you’ll spot some marine life on the trip. The last of the state campgrounds along the coast, Gaviota State Park is 33 miles from Santa Barbara, and you’ll notice as the landscape begins to change from gentle Southern California beaches to the more dramatic cliffs and bluffs that mark the Central Coast. This is a great spot to make your home base if you are interested in exploring Point Conception, where the Santa Barbara Channel meets the Pacific Ocean. 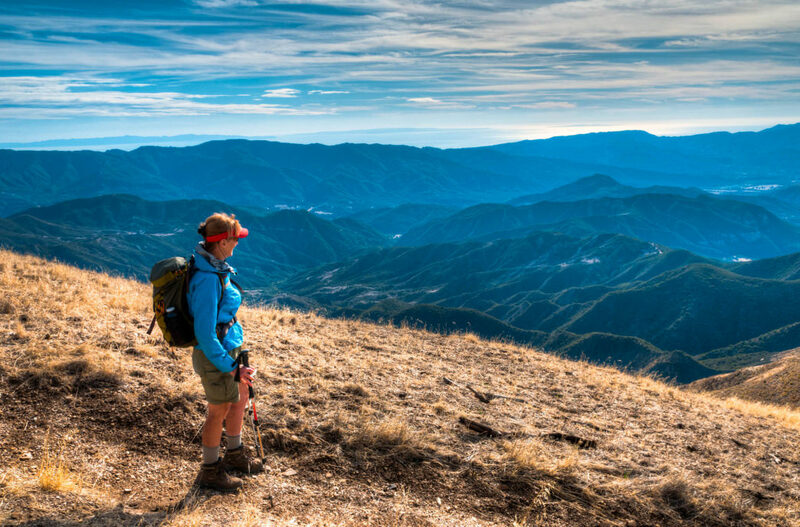 Campers often choose to stay at Gaviota when they plan on hiking to Gaviota Peak, a lofty, 2,458-foot summit accessible via a 6-mile trail, which features unforgettable views of the coastline and the Channel Islands. Speaking of the Channel Islands, this primitive campground is a great place to experience all that the Channel Islands National Park has to offer. To get here, you’ll travel by boat for about an hour. Scorpion Canyon Campground is located in a valley with a mixture of trees and shrubs, close to a beach that faces the Santa Barbara Channel and below rugged mountain peaks. It’s close to several hiking trails, like the 2-mile Cavern Point Loop or the 7.5-mile round trip to Smuggler’s Cove. Be aware that there are no services on the island, so everything you need has to be packed in and packed out. The only backcountry campground on Santa Cruz Island, Del Norte is where you will aim to spend the night if you are seeking an island backpacking experience on your trip to the Channel Islands. It’s only about 3.5 miles from Prisoners Harbor, but the National Park Service stresses that only experienced backpackers should plan on staying at this remote site due to the rugged winds and wilderness you will find out here. This is a place where you definitely should brush up on your Leave No Trace principles before setting up camp. It’s located in an oak grove that also features coastal views, and camping is strictly limited to the designated areas within this zone. You can also take the 12-mile route in from Scorpion Anchorage to stretch out the experience and see as much natural flora and fauna as possible. This campground in the Los Padres National Forest is known for its easy access to a number of popular swimming holes, which make it a favorite summer destination. The area, which is surrounded by huge oak trees, features large campsites and is close the the Santa Ynez River, perfect for anglers. For those interested in hiking, you have a number of options, including a scenic trek to the Gibraltar Dam. Reservations are required for 60 percent of the sites in the campground, with the rest available on a first-come/first-serve basis. Unlike some of the surrounding primitive sites in the area, Paradise features flush toilets, drinking water, picnic tables, and campfire rings, making it a nice option for families.